^ 姜公韜. 〈第五章：明清之際〉. 《中國通史·明清史》. : 第87–96頁. ^ 林乾隆. 中日馬關條約談判之研究. 国立政治大学. 2007 [2016-09-08]. （原始内容存档于2016-09-24）. ^ It is their purpose that Japan shall be stripped of all the islands in the Pacific which she has seized or occupied since the beginning of the first World War in 1914, and that all the territories Japan has stolen from the Chinese, such as Manchuria, Formosa, and the Pescadores, shall be restored to the Republic of China. ^ The terms of the Cairo Declaration shall be carried out and Japanese sovereignty shall be limited to the islands of Honshu, Hokkaido, Kyushu, Shikoku and such minor islands as wedetermine. ^ 勞特派特修訂; 王鐵崖、陳體強譯. 奧本海國際法. 下卷 第二分冊. 北京市: 商務印書館. 1989年: 第73頁. ISBN 7-100-00646-5. ^ Joint Chiefs of Staff. General Order No. 1. 维基文库. August 17, 1945 （英文）. "General order No.1 (Enclosure), as approved by the President for issue by the Japanese Imperial General Headquarters by direction of the Emperor, is circulated for information." ^ Tokyo Bay: The Formal Surrender of the Empire of Japan on Board USS Missouri, 2 September 1945. Naval History and Heritage Command（英语：Naval History and Heritage Command）. （原始内容存档于2014年10月6日） （英语）. ^ 中華民國外交史料特展 臺灣光復. 國立故宮博物院. （原始内容存档于2015-07-11）. ^ 蔣經國. 〈危急存亡之秋〉載《風雨中的寧靜》. 台北: 正中書局. 1988年: 第281頁. ^ 王光慈. 《國光計畫》烏坵海戰慘敗、反攻大陸夢醒. 聯合報. 2009-04-20. 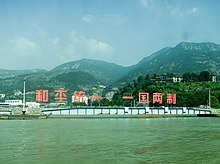 （原始内容存档于2009-04-22）. ^ 王正華. 蔣介石與1961年聯合國中國代表權問題 互联网档案馆的存檔，存档日期2014-03-22.. 國史館. 2009年9月 [2015年6月6日] （繁体中文）. ^ 中華百科全書 - 反共復國教育 互联网档案馆的存檔，存档日期2014-09-24. ^ 謝長廷：民共無冤仇 中評社 06.12. （原始内容存档于2012-06-18）. ^ 蔡英文称尊重九二会谈历史事实 国台办回应. news.ifeng.com. [2017-09-09]. （原始内容存档于2017-09-09）.